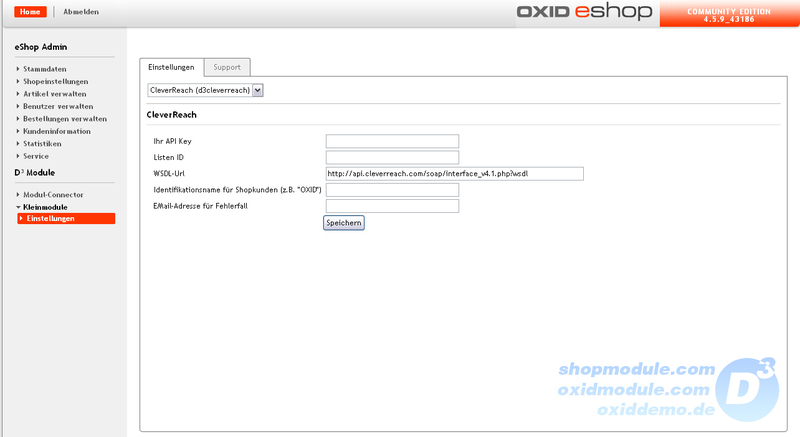 OXID eXchange | CleverReach 1.1.2 / 2.0.0.2 PE | Stable | EE, PE | 4.3.x - 5.0.x - pe | Module, Themes, Language Packs direkt herunterladen! Changes on customer states will be assigned live to CleverReach. This extension provides the interface version 5 of CleverReach.